A woman who was accused of trying to rob a man on the Boystown bar strip on May 28th while she was on probation for a robbery in the suburbs has reached a plea deal. 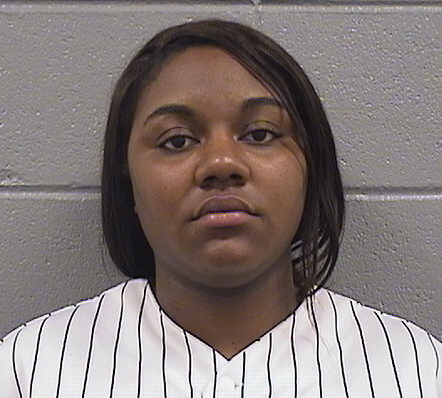 20-year-old Denise McDowell of the North Lawndale neighborhood pleaded guilty this week to one count of attempted robbery and received a 2-year sentence. Three people said to be going door-to-door soliciting businesses in Lincoln Park were arrested yesterday after one of them spit in the face of a worker who told them to leave her establishment. It is not yet known if the three have connections with a string of recent thefts from businesses by young people posing as sports team fundraisers. Two black women and two black men in their teens ran from a beauty salon in the 2500 block of Halsted around 1 o’clock Thursday after one of the women spit on the employee. Police engaged the group in a foot chase. One of the men and both women were taken into custody near the 2500 block of Lincoln. Along the way, witnesses reported seeing one of the men drop items while running. • About an hour before the salon incident, an employee found an unknown man going through her purse in a day care center near the 2800 block of Lincoln. The intruder reportedly shoved the woman aside and fled. He was described as a black man in his 30’s, with a thin build, short hair, and a backpack. A man who was initially suspected of trying car door handles in west Lakeview was arrested Friday morning, possibly for trying to steal a woman’s purse. Several officers were scouring the area around Bosworth and Waveland in search of the suspect, who was described as a white man wearing a white polo shirt with blue stripes. A CWB reader told us that things escalated and the man tried to steal a woman’s purse around 11:50AM. A fisherman at Montrose Harbor on Wednesday reeled in quite a catch: A bag that contained a loaded handgun. Police have logged the incident as “lost property” while investigators go to work.